Flora and Ante are my two Fairyland Pukipuki BJDs. And my two poor babies had been dressed in their Christmas duds since last December. I’m afraid I really did neglect my poor dears in the year of dolly dearth. But a couple of weeks ago, I decided to finally dig out the two new outfits I had received for these two last Christmas and try them on. 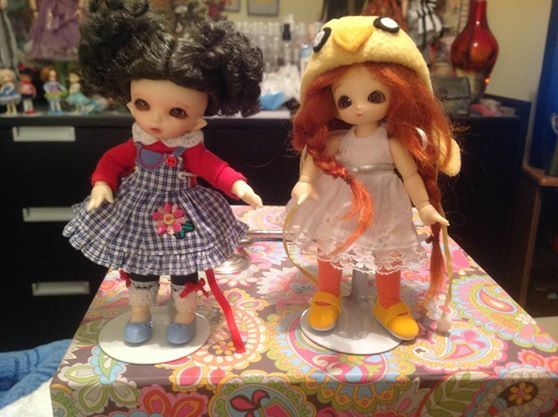 Along with a couple of different wigs, it was like I had two new dollies! Outfits from Ruby Red Gallery mystery box! 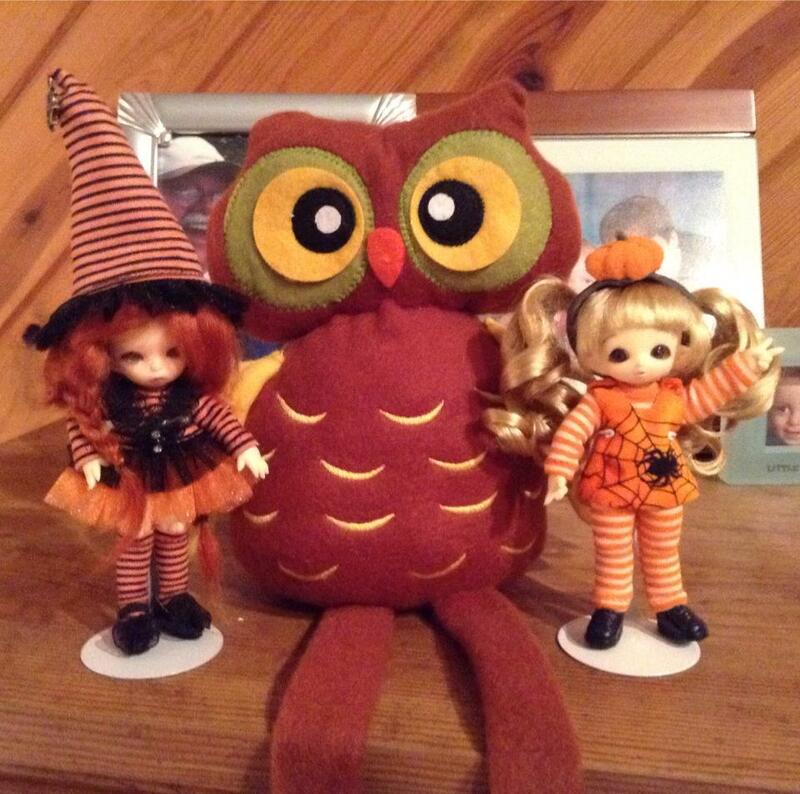 Happy Halloween from Ante, Hootie and Flora!